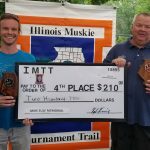 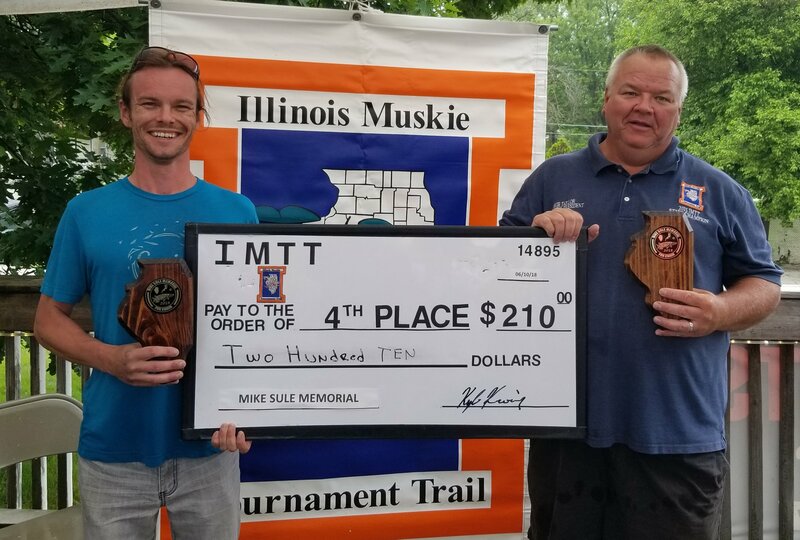 On June 9th & 10th teams from throughout IL, IN and MN came to the Fox Chain of Lakes in northern Illinois for the 2018 IMTT MIKE SULE MEMORIAL TOURNAMENT. 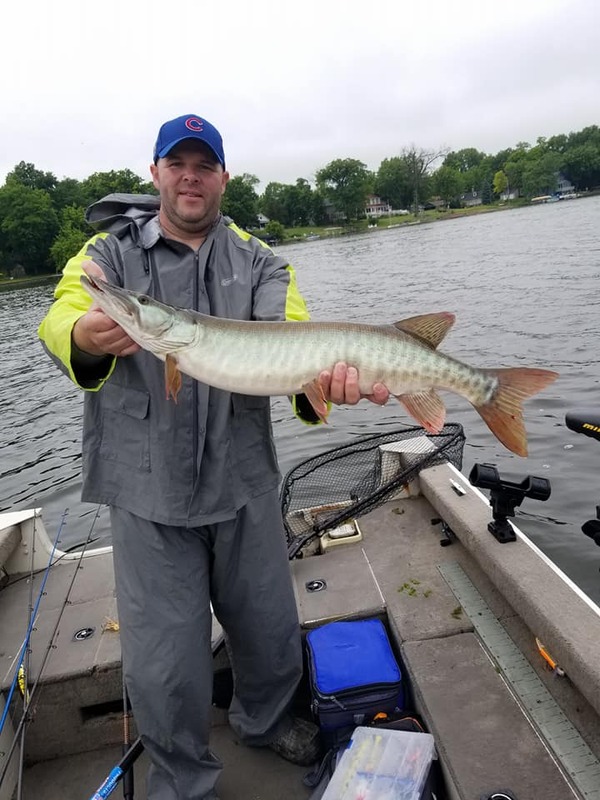 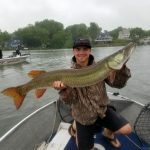 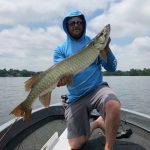 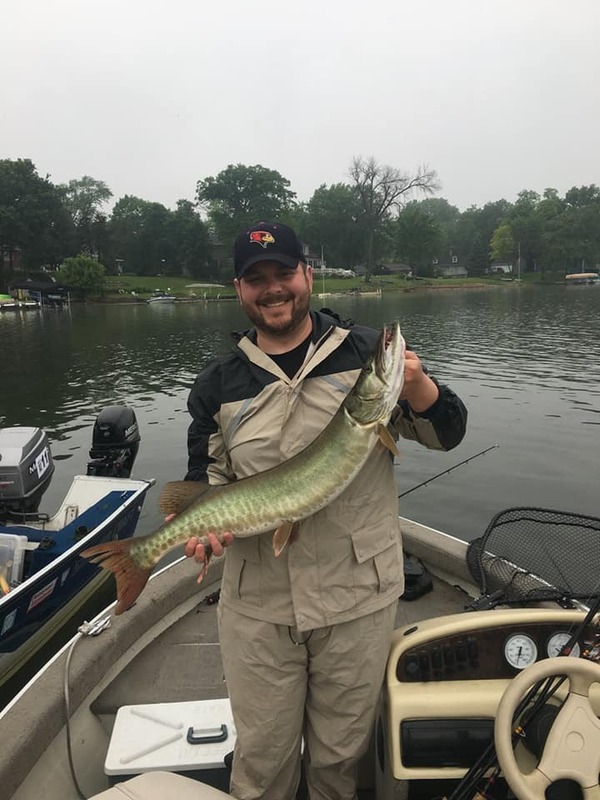 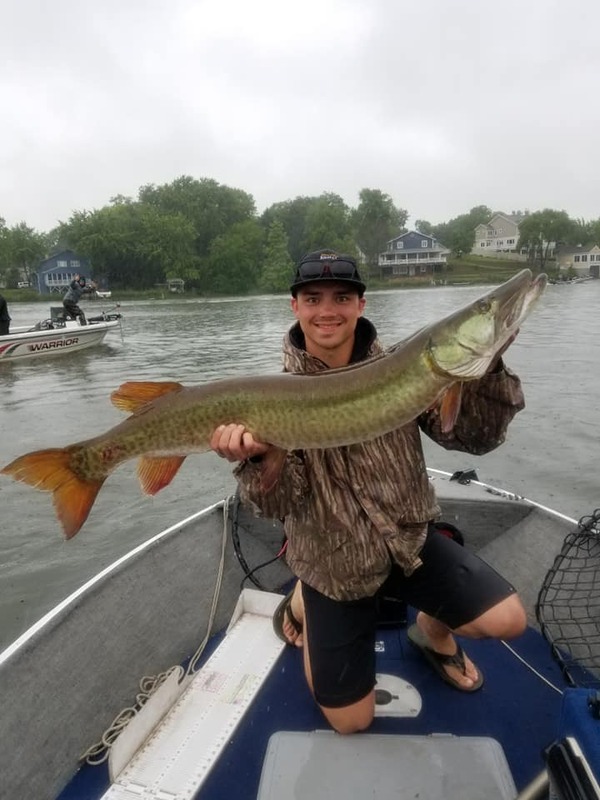 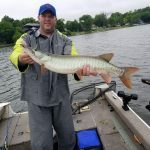 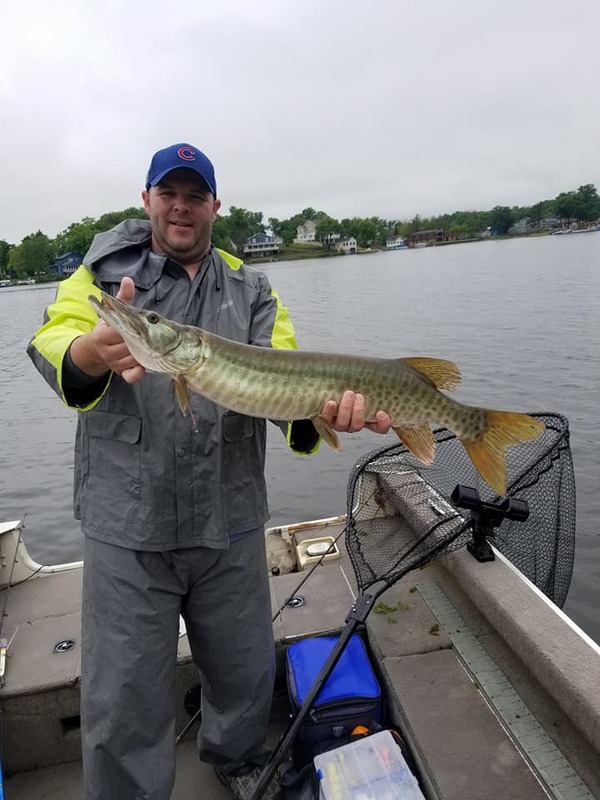 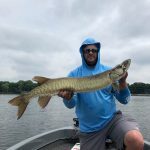 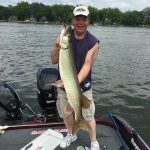 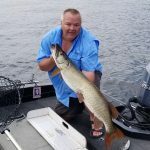 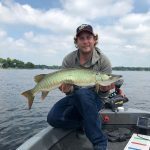 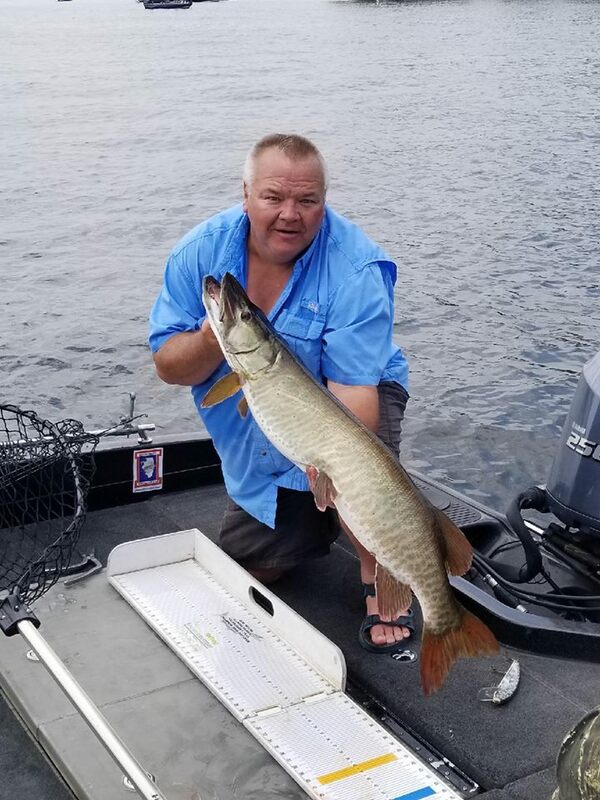 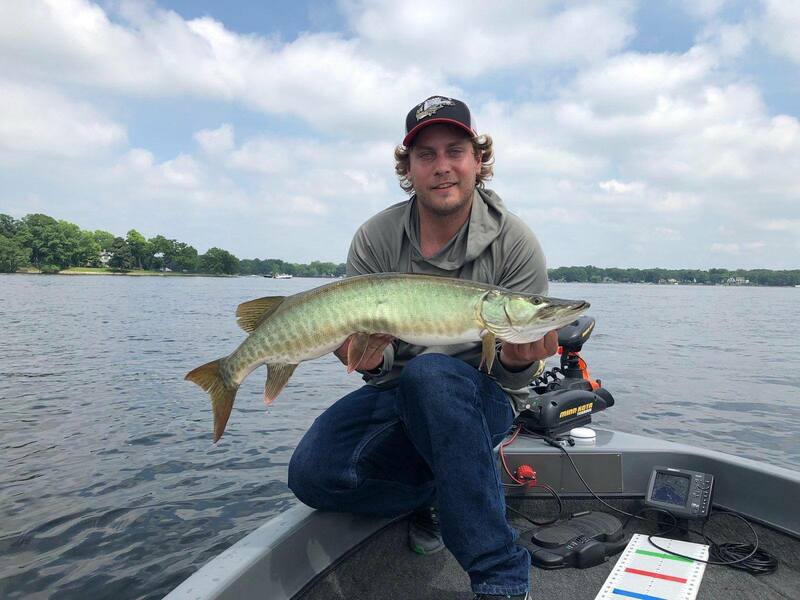 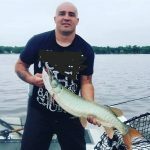 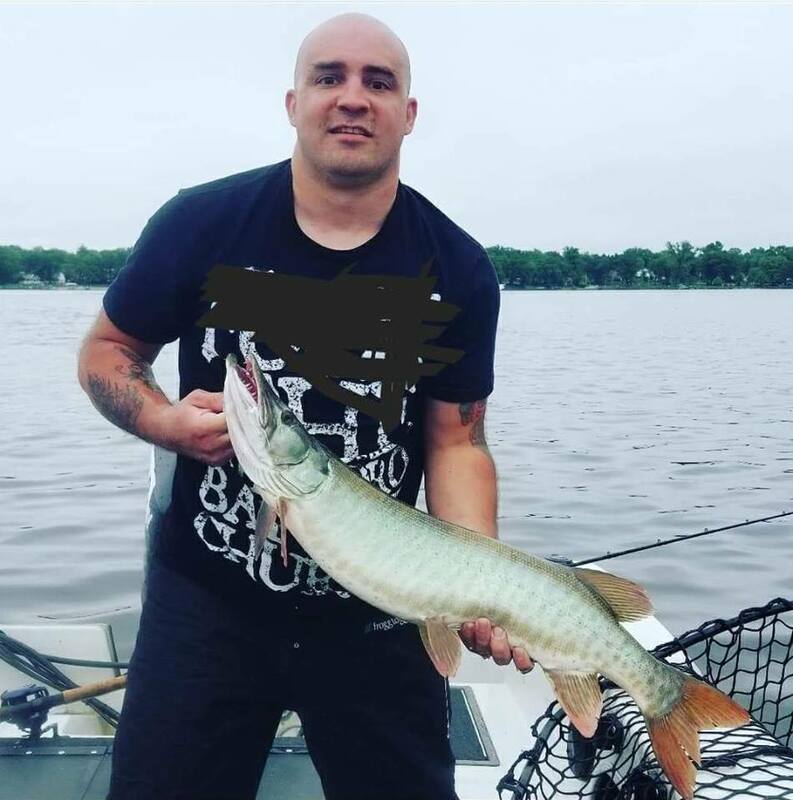 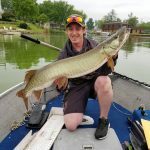 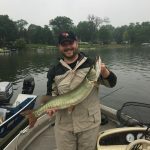 13 Muskies over the 30″ minimum were caught by the 21 entrants during the two day event. 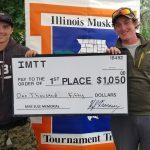 1st Place went to Ryan Downey (45.75″, 38″) of Schaumburg IL & Jared Goyke (44.5″) of Schaumburg IL. 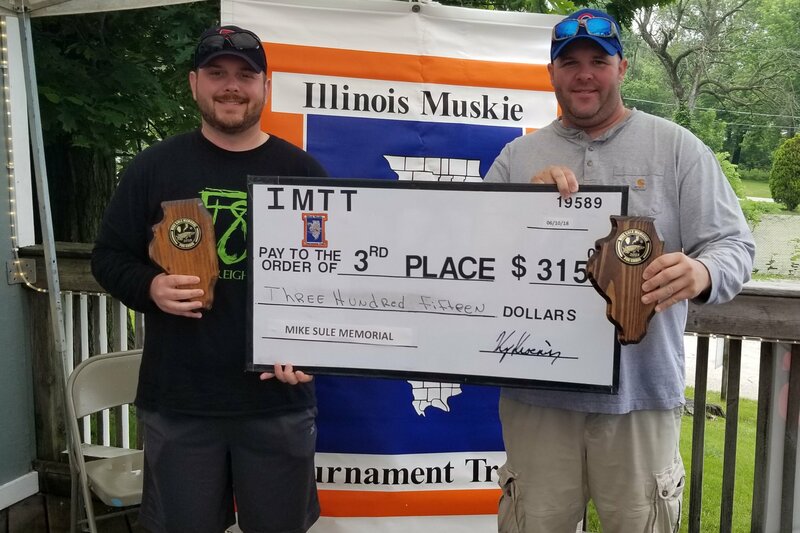 2nd Place went to the Jake Brewer (38.25″, 38.25″) of Lombard IL & Adam Vahl (34.5″) of Westmont IL. 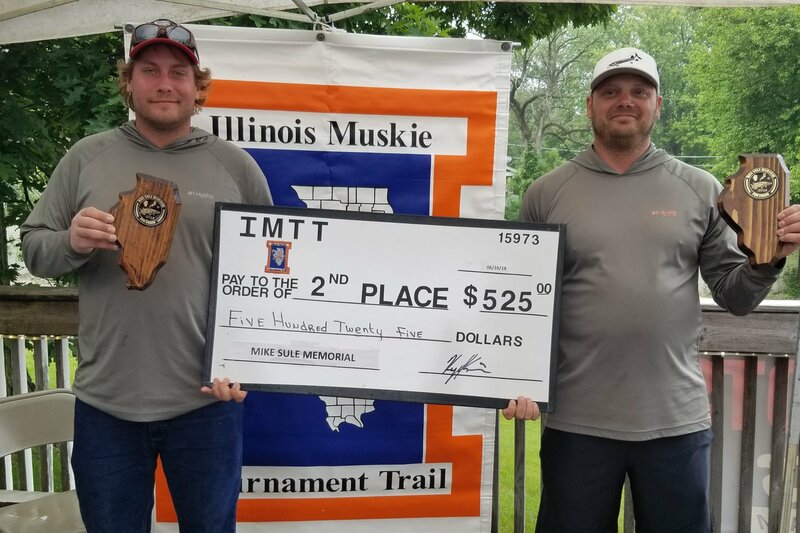 4th Place went to the father/son team of Bob Taylor (42.5″) of Brimfield IL & Justin Taylor of El Paso IL. 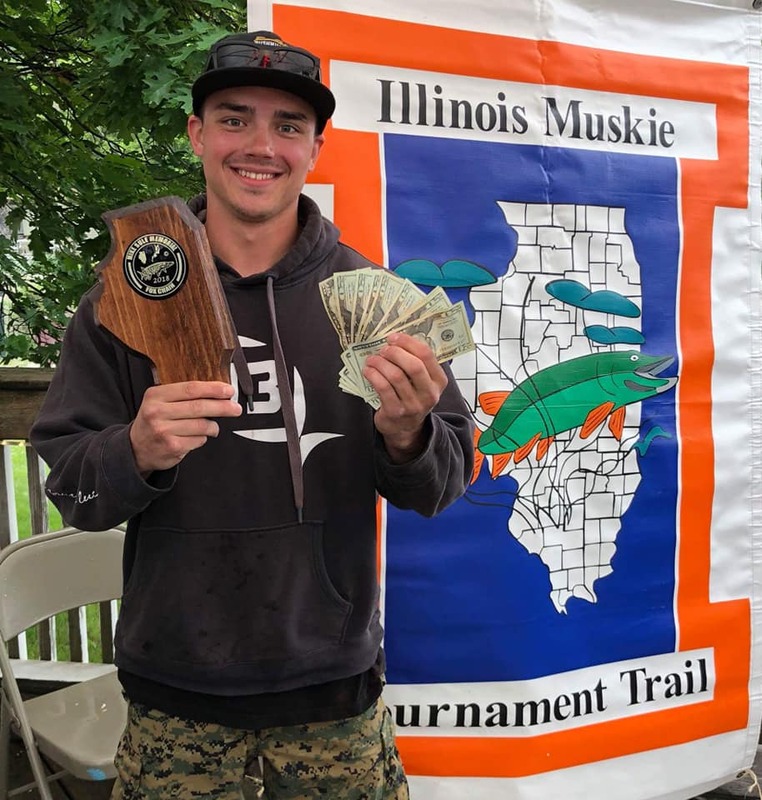 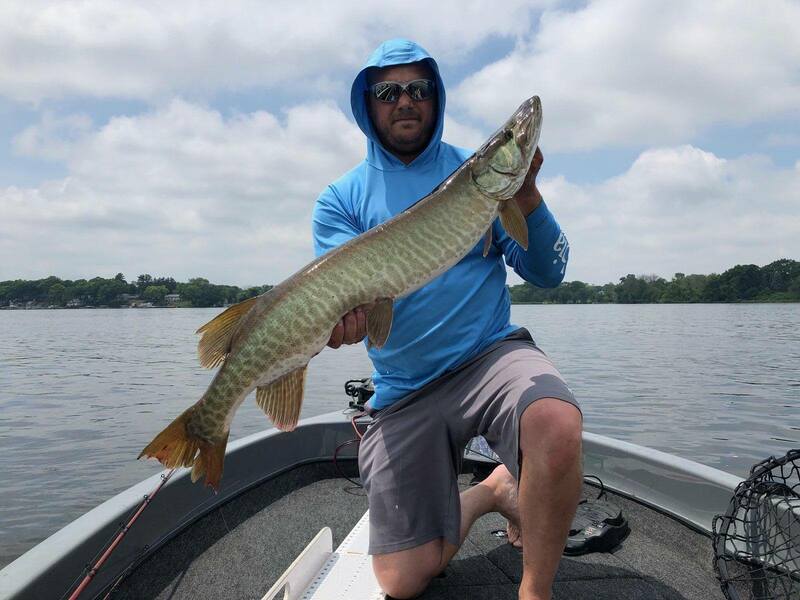 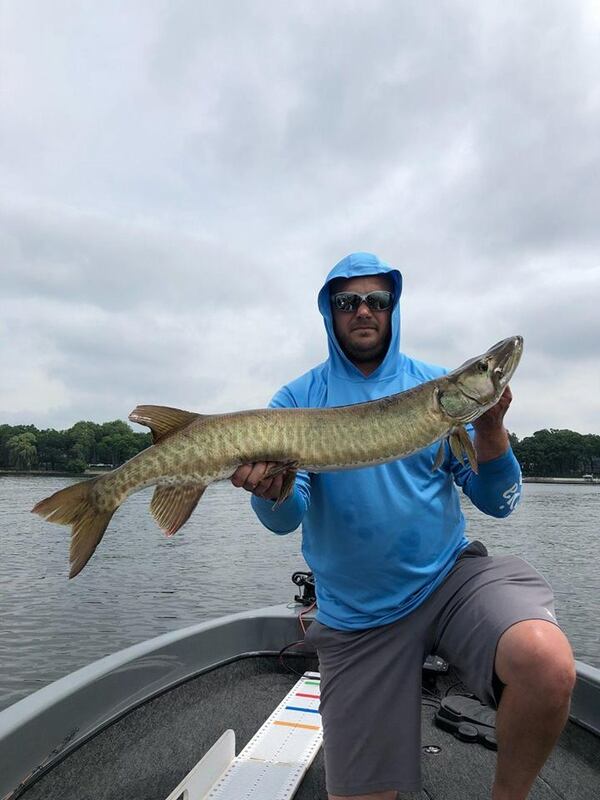 Ryan Downey’s 45.75″ Muskie was Big Fish of the tournament and is currently the IMTT Big Fish of the Year!. 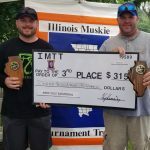 The IMTT thanks its tournament entrants who donated 360 nonperishable food items that were donated to local food banks. 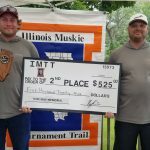 Up next on the IMTT schedule is the Quad County Hawg Hunters tournament on Prairie Lake in the Jim Edgar SFWA on September 22nd. 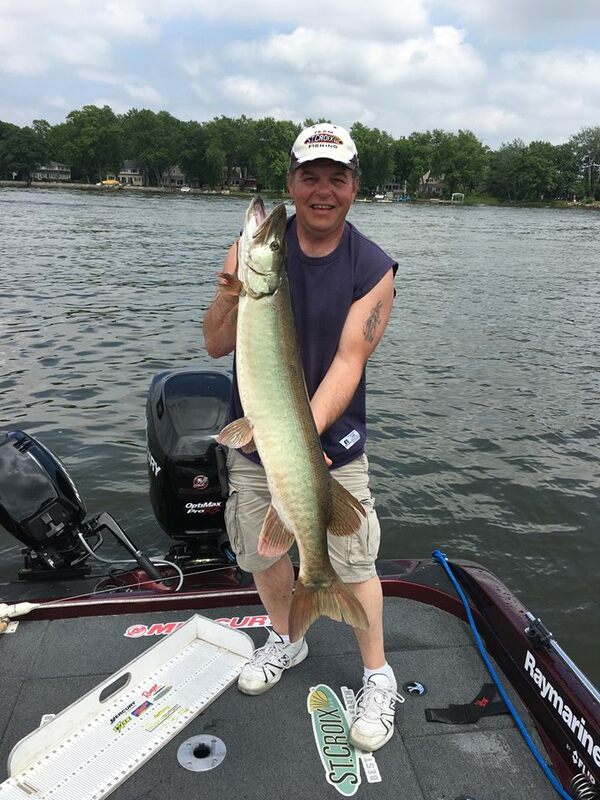 Contact Duane Landmeier @ 815-761-5182 or dlandmeier@frontier.com for details. 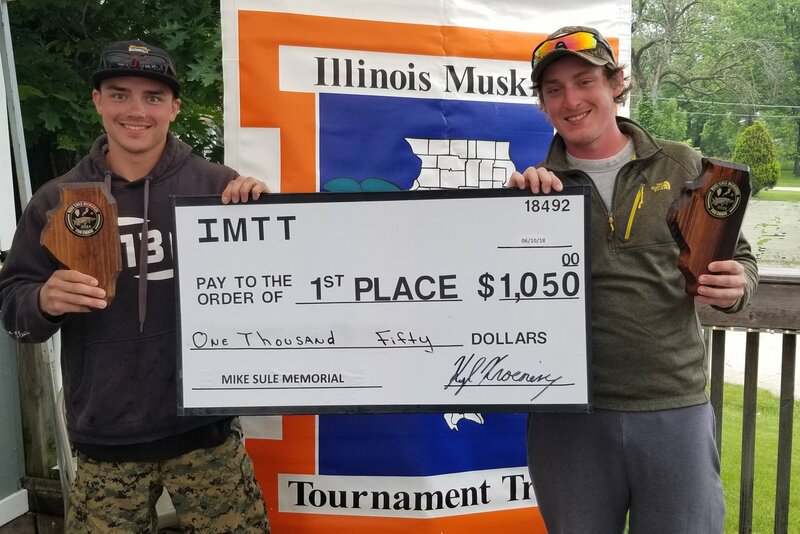 On September 29th & 30th the IMTT will be at Lake McMaster for the 2018 IMTT Gregg Tichacek Memorial Tournament. 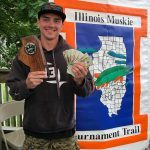 This tournament is limited to 19 boats. 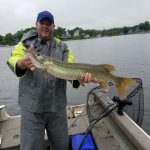 We currently have 9 spots still available for this event. 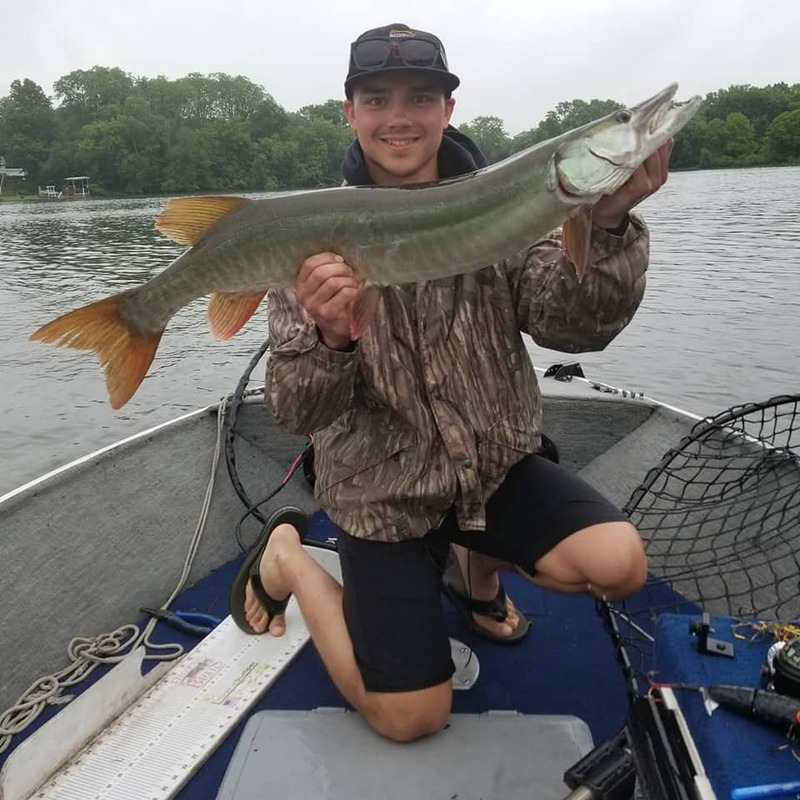 HAVE A GREAT SUMMER AND WE LOOK FORWARD TO SEEING YOU THIS FALL ON THE TRAIL.